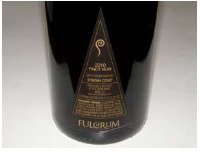 Fulcrum Wines Owner David Rossi’s background was in food marketing. 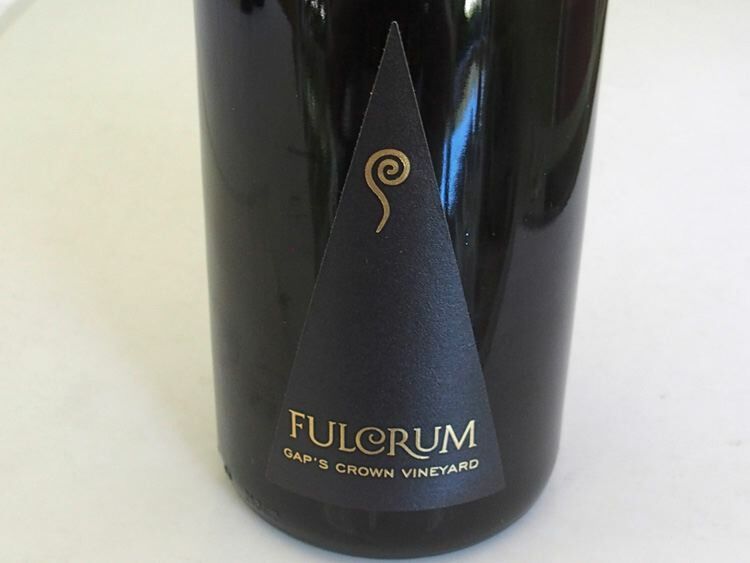 He began his winemaking career at home over ten years ago and his success in amateur winemaking competitions led him to launch Fulcrum wines. Christinna Rossi assists David with the sales and marketing. David has a admirable philosophy: produce wines that are balanced with respect to acid, tannin, alcohol, fruit, oak, and age-worthiness. 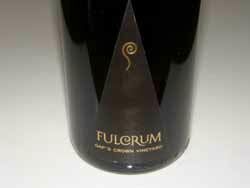 A fulcrum is a point of balance for a lever and his goal is to leverage the best wine out of the best grapes while maintaining balance. 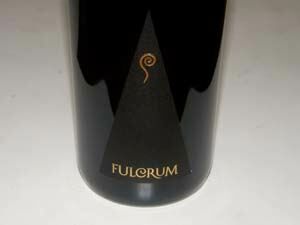 That is what Fulcrum is all about. 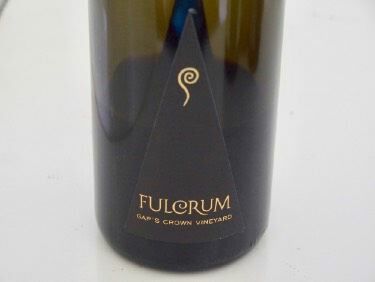 He has crafted his wines at Crushpad in San Francisco through the 2008 vintage, but in 2009 moved to Bin to Bottle, a custom crush facility in Napa. David's years of marketing experience are reflected in the impressive presentation of his wines. Each bottle is carefully wrapped in tissue and encased in a paper collar that has a seal depicting an acrobat juggling. This image embodies David’s guiding theme of balance (see photos next page). Six bottles are presented in a handsome engraved wood box - very classy. 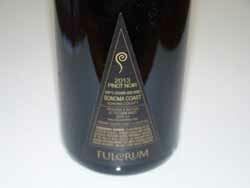 The inaugural Pinot Noir was from three Anderson Valley vineyards - Akina, Hein Family, and Wentzel, but he has widened his sources to Russian River Valley and the Chalone appellation. 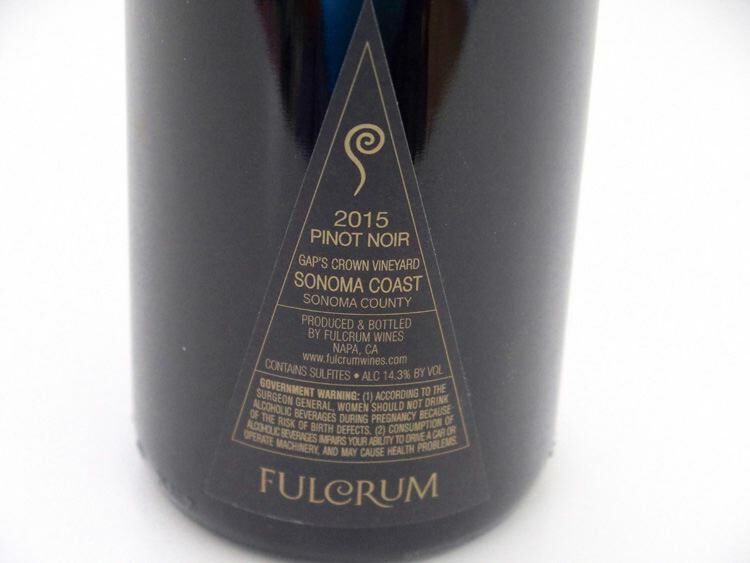 The wines have improved with each vintage and the 2014 vintage wines are in the rarefied status of California's best Pinot Noirs. The wines are sold on the website. Tasting room off the historic Sonoma Plaza open daily.